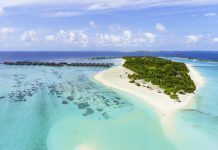 Shinji, JF2SDR he will be active Halaveli Island, Alifu Alifu Atoll, Maldives as 8Q7SD during September 20-25, 2018. QRV holiday style on 30-10m; CW, SSB, & RTTY. QSL via H/c, eQSL.